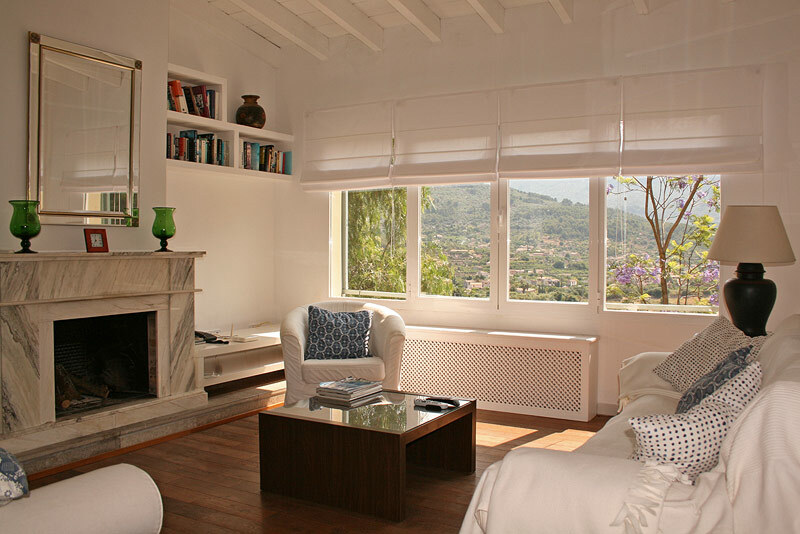 The Casa Oleander is located on the outskirts of Sóller towards Deia, on a huge private secluded plot overlooking Sóller and Mallorca´s highest mountain, the Puig Mayor. The center of Sóller is at approx. 5 minutes driving distance, Port de Sóller about 10 minutes away. 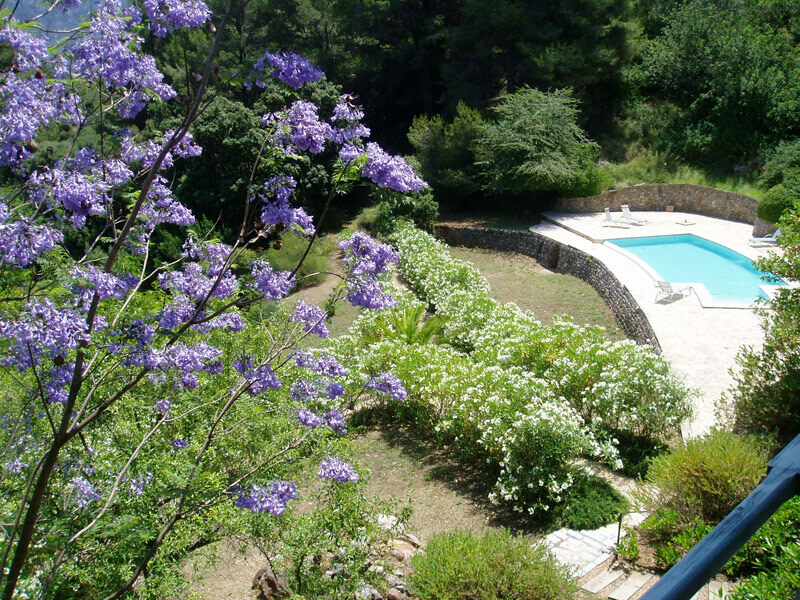 There is a small, partly private footpath through the property down to Sóller. 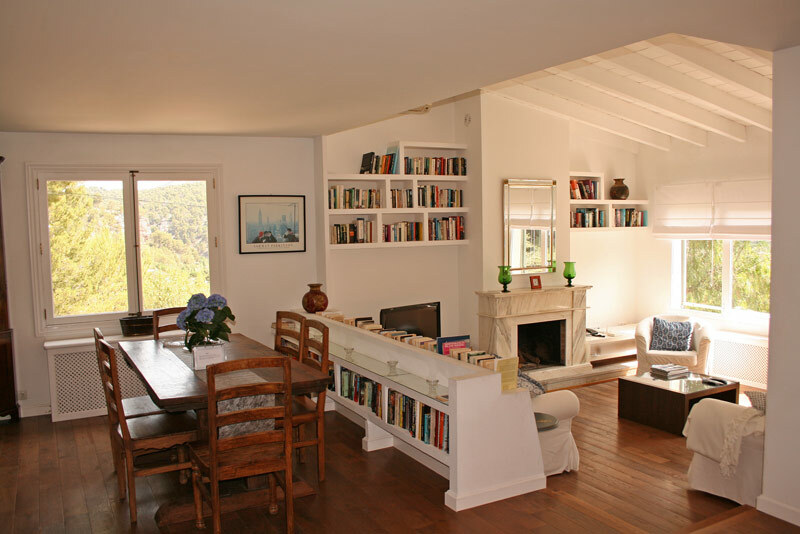 From the large parking lot infront, you enter the house, pass a corridor and enter the large dining room with beautiful wood table and chairs, directly adjacent is the spacious living area with panoramic windows and exit to the covered terrace. The kitchen adjoins the dining room and is fully-equipped with dishwasher, microwave, oven and a variety of kitchen appliances. 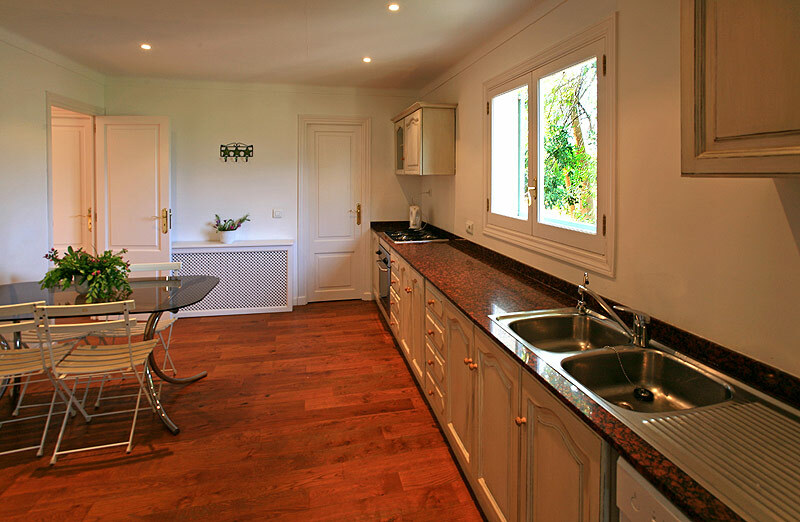 In the kitchen there is an additional dining table available. 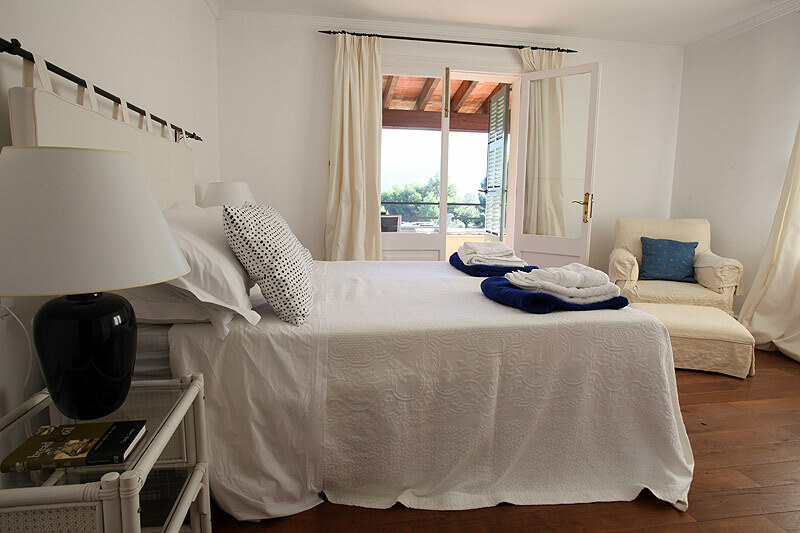 At the same level are three large bedrooms, 2 with double beds and one with two single beds, and all rooms are spacious with good sized beds and beautiful wardrobes. Also on this floor are two bathrooms, one of them en-suite in the master bedroom. There is also a guest toilet on this level. 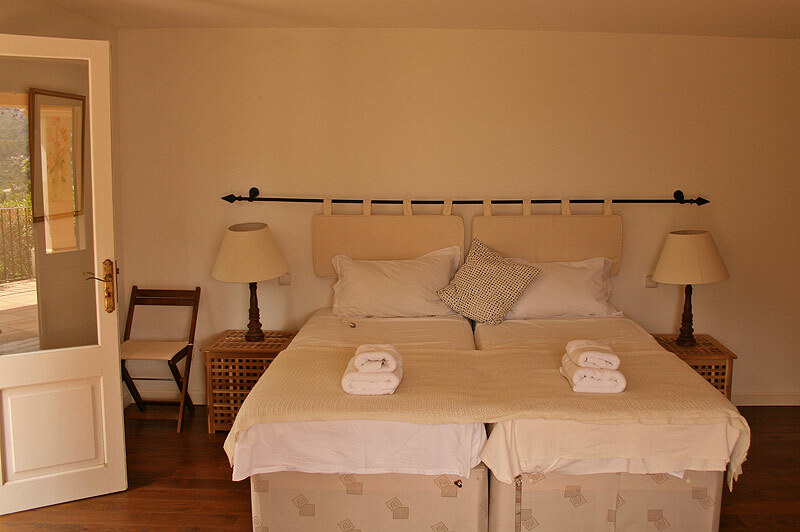 On the lower floor there are two further double bedrooms with either double or twin beds and bathrooms en-suite. Both bedrooms have doors to the outdoor area, which accesses the pool, and outdoor steps towards the entrance and parking. The entire interior is modern, bright and tasteful, all floors are dark hardwood floors. 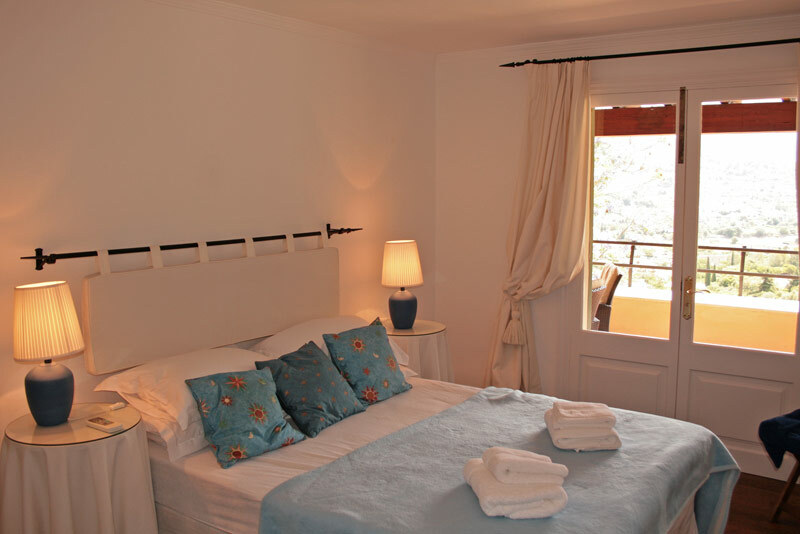 The bedrooms and sitting room are equipped with heating and air conditioning. The magnificent infinity pool area is accessed through the Mediterranean garden with beautiful trees, shrubs and plants. 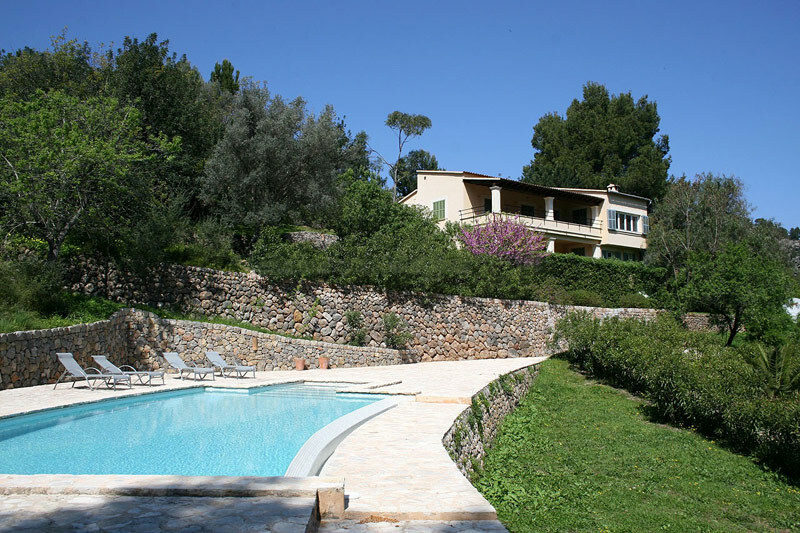 The pool is about 5x10 m large, the pool terrace is equipped with sun loungers and parasols. 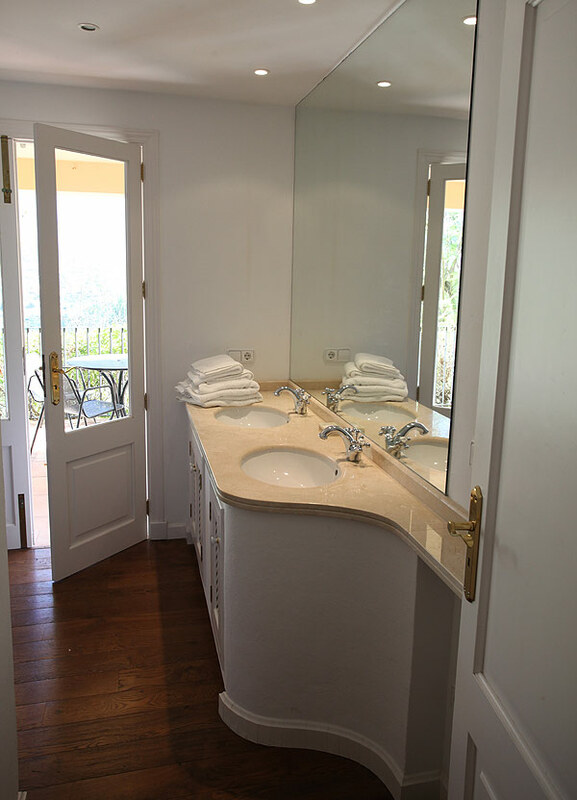 There are 4 terraces, so there is enough space to retreat and enjoy the magnificent views over Sóller and the mountains. 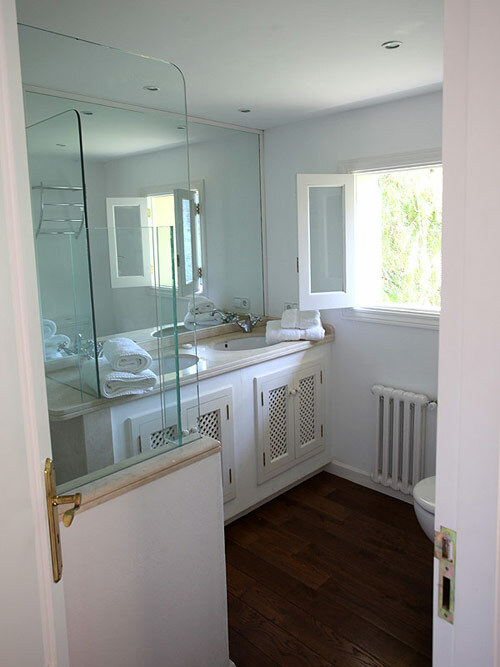 Additional features: laundry room with washer and dryer, ironing board and extra fridge, barbecue, Wi-Fi, German and English satellite TV, stereo, DVD player, alarm system and a safe in one bedroom. 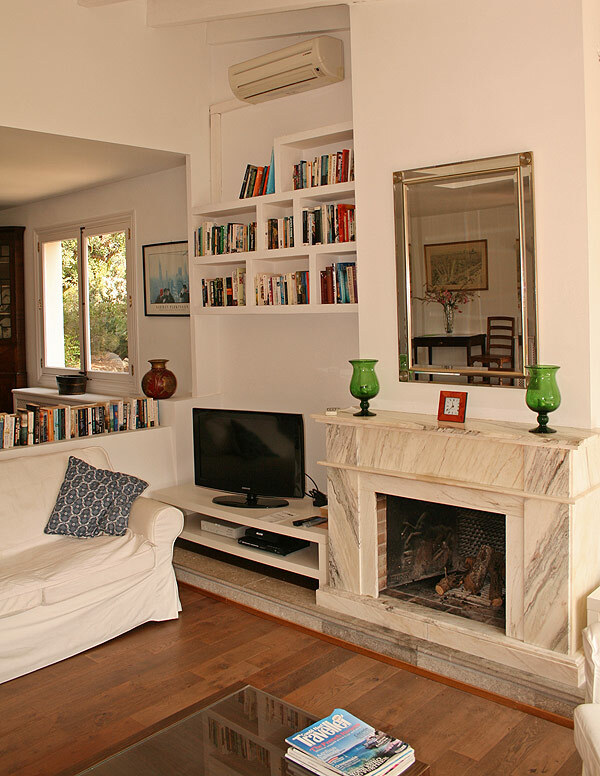 A spacious house, stylishly furnished and fully equipped. Nice mix of modern, bright décor and rustic elements, such as the beautiful hardwood floors. Ideal for 2 families or a group of friends. The beautiful house with the large pool. The dining area with the saloon in the background. Panoramic views from the saloon. The master bedroom in the upper flow. Double room in the lower floor. 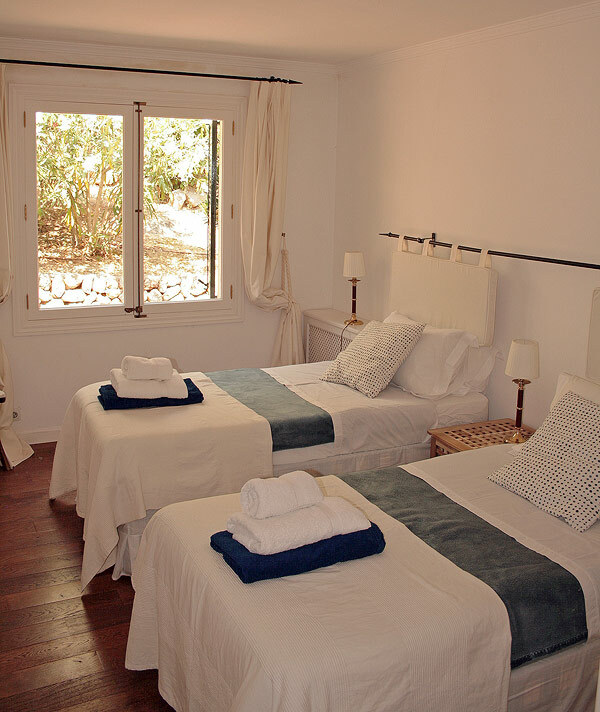 The double room with single beds.